Banitsa (баница)A classic breakfast combination is banitsa and boza (баница и боза) or banitsa and ayran (баница и айраян). Banitsa is a traditionally made filo pastry pie. In the most popular version it is filled with white pickled cheese or a combination of cheese, eggs and yogurt. In other variations the banitsa can contain leeks, onions, cabbage, minced meat, pumpkin and sugar or apples with cinnamon. It can be easily be purchased from any street bakery, during the whole day. The cheesy banitsa fits very well the sweet thick boza drink. Boza is made of rye or wheat and goes into slight fermentation process. If the boza has slight alcoholic taste, it is not fresh and you should not drink it. The alternative to boza– ayran, is basically a deluded with water Bulgarian yogurt. Salt and even pepper can be added to the drink.Ingredients: 1 pack of filo dough 3 eggs 1 lb Bulgarian cheese (or feta cheese) 3 tablespoons butter 1 cup of milk or yogurt Preparation: Mix the crumbled cheese, milk and eggs together. Don’t over mix – cheese should be lumpy. Melt the butter in a cup. Butter the bottom of a casserole pan. Lay 5-6 sheets of filo dough, one after another (not together) as you spread some butter in between – use a brush for this. Spread some of the cheese mixture on top, lay another 3-4 sheets, spreading butter in between. Repeat until all mixture is used. Lay the last 3-4 sheets on the top with no butter in between. Spread the rest of the butter on top. Cut in portion sized squares and bake in the oven until golden (about 30 minutes on 250 C).Other breakfast options are tutmanik (тутманик) and milinka (милинка). Both are breakfast breads with cheese and eggs but each has a typical taste and different preparation method. Mekitsa (мекица) is a Bulgarian sort of donuts, usually consumed for breakfast too. It can be eaten both with sweet and savory additions such as white cheese, confectioner’s sugar or jam. Bean soup (боб чорба)Bean soup is a Bulgarian staple. It is an excellent vegetarian dish, but it can also be spiced up with some sausages. Bean soup in Bulgaria is a “national” dish. Most popular is the Monastery Version which is totally vegetarian. Ingredients: pound dried Great Northern beans, soaked in water for about 6 hours, rinsed and then cooked in water for 45 minutes to an hour until tender tablespoons olive oil 1 1/2 cups diced onion 1 1/2 cups diced carrot 1 1/2 cups diced celery 2 cloves garlic minced 1/4 to 1/2 teaspoon crushed red pepper flakes 2 tablespoons sweet Hungarian paprika 1 tablespoon salt 1 teaspoon black pepper 10 cups water 1 large smoked ham hock 1/2 cup chopped fresh mint 3 tablespoons minced fresh winter savory ( or one teaspoon dried savory) 1/ 2 cup chopped fresh flat leaf parsley Additional salt, black pepper and paprika for re seasoning Preparation: After cooking your beans, heat the olive oil in a large soup pot and add the onion, carrot celery and garlic. Cook over medium heat until the onion softens. Add the crushed red pepper, paprika, salt and black pepper and continue to saute for just a few more minutes. Add the water and ham hock, bring up to a boil and simmer for about an hour, partially covered. Remove the ham hock from the pot to let cool. Turn the heat off from under the soup pot and stir in the beans, mint, parsley and savory. Using an immersion blender, blend the soup for just a minute to break up some of the beans. (Alternatively remove about a cup of the beans to a bowl and mash them with a fork and then return them to the pot) Remove any meat from the ham hock, dice it finely and return it to the pot. Return the soup to a simmer and re season with salt, pepper and paprika. NOTE: This soup is best when made very early in the day or even the day before serving. Tarator (таратор) is a Bulgarian cold cucumber soup is made with yogurt, walnuts and dill. This is a no-cook refreshing summer offering that also can be left thicker and served as a dip.Ingredients: 2 Persian cucumbers(about 5-6 inches long), grated or finely chopped 1 garlic clove, finely grated or minced( you can easily add more, if you like) 8 walnut halves, finely grated or minced (optional) 1 cup yogurt( I love using Mountain High Yogurt) dill to taste, preferably fresh* salt to taste black pepper to taste pinch or 2 of cayenne pepper, optional oil, to taste( sunflower, walnut, etc….I used olive oil) 1/2 cup water(+/-), to thin out the soup a pinch of sugar( totally optional, but I find it balances the tartness of the yogurt)Preparation: Grate the cucumbers, garlic and walnuts. Add yogurt and mix to combine. Add seasoning( dill, salt, pepper and cayenne(if using)) Thin out the soup by adding some cold water. Drizzle a bit of oil(this brings it all together) and mix again. 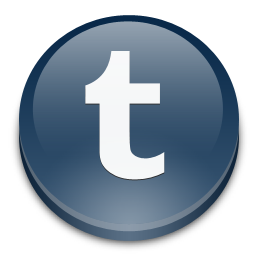 Adjust seasoning and refrigerate for at least half hour. Serve with a sprinkle of extra chopped walnuts, dill and a few drops of oil. Shopska salad (шопска салата)Shopska salad is probably one of Bulgaria’s most iconic dishes. It is also a favorite among foreigners. The salad is made of tomato, cucumber and onion. 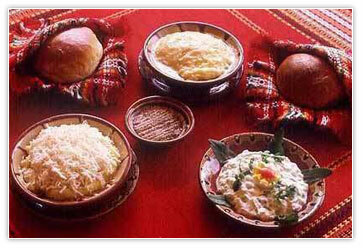 What makes it special, however, is the topping of Bulgarian white pickled cheese (сирене). The symphony of the ingredients and the simple oil and vinegar dressing makes this salad outstanding. You can order Shopska salad in any restaurant (it is that popular) and you best try it as a starter, with Rakia. Mish-Mash (миш-маш) (Eggs, Peppers, Cheese)Literally translated mish-mash means Hodge-bodge. This is a very tasty meal which I grew up on as my parents were never home to prepare lunch and it takes 10 easy minutes to make. Ingredients: 3 tomatoes, chopped 3 red peppers, chopped 1 onion chopped, 2 tbsp oil, 1/2 lbs cheese, crumbled (feta), 3 eggs, chopped parsley, salt and pepper to taste Preparation: Heat the oil in a frying pan, add the onions and the peppers and cook until onions are golden. Add the tomatoes and cook for additional 3 minutes. Add the cheese and eggs and cook for another 2-3 minutes. Sprinkle with parsley and serve. Delicious with toast. Wine Kebab (винен кебап)Wine kebab is a popular dish you can easily find in Bulgarian restaurants. It is made of pork lamb or beef chunks, cooked in wine sauce and served with plain white rice.Ingredients: 1 lbs veal, cut into small cubes 4 onions, finely chopped 1 carrot 1/2 a celery, 1 tbsp tomato paste, 1 tbsp flour, 1 tsp paprika, 1 cup wine, preferably red 1 bay leaf, ground black pepper, parsley, 1/2 cup oil, salt Preparation: Fry meat in oil adding a little water and the and some water and the onions, celery and carrots. When tender add the tomato paste, add some more water, the flour and paprika. Add the wine, the bay leaf and pepper and simmer on a low fire, adding water if necessary. The meal should have relatively thick sauce. Sprinkle with finely chopped parsley before serving. Panagyurski Eggs (яйца по Панагюрски)This dish is named after Panagyurishte, a small town full of history, one of them – this great recipe. In essence it is poached eggs with yogurt with a little twist. Ingredients: 3 eggs 1 cup strained yogurt 1 tsp oil a pinch of paprika salt to taste 2 tbsp of vinegar 1 clove garlic, crushed (optional) 1/4 gallon water Preparation: Add the vinegar and a pinch of salt to about 1 liter (1 quart) of boiling water. Break the eggs directly into the water. Boil for 3 to 5 minutes, depending on how runny you like your eggs. Mix the yogurt together with the crushed garlic and very little salt. Put the eggs on top of that mixture. Heat the oil and add the paprika very carefully not to burn it (it takes 10 seconds or less to burn so be careful). Immediately pour the curried oil over the eggs and the yogurt mixture and serve. Note: You can use to prepare the dish by adding some crushed feta inside the yogurt mixture which adds a tasty twist to its taste. Gyuvech (гювече) Gyuvech is a popular catch-all dish you can make with just about anything you have in the fridge. It gets its name from the pottery (earth ware) dish that it is prepared and served in (pictured)Ingredients: 1/2 lbs cheese – anything is OK but please find and use feta 1 egg 1 tbsp parsley, dill, mint, finely chopped (or any herbs will also do) any kind of cooked chicken, pork, or beef – optional any kind of sausages or hot dogs – optional vegetables: tomatoes, peppers, small hot pepper, mushrooms, cooked potatoes – optional fresh greens: parsley, dill, celery leaves – optional Preparation: Chop or dice all ingredients that you have gathered. Make alternating layers of cheese, meat, and vegetables, but make sure you have cheese on top. Bake in the oven at 200 C for 20 minutes or until the cheese is melted. Break the egg on top and put back in the oven for another 5-10 minutes. Sirene po Shopski (сирене по Шопски)Cheese Shopski There is no good translation of this meal’s name but it definitely comes from the Sofia region. Shopski is the adjective for shop, a mythical person believed to live in or around the city of Sofia. There are a lot of stories for how smart industrious and stubborn these people are but this is not the point here, the point is that after all they left us a pretty good recipe. Ingredients: 1 lbs white cheese (feta) 1/3 lbs cheese (mozzarella works great) 2 eggs 2 chilies 2 tomatoes, sliced 2 roasted peppers, chopped a pinch of oregano and parsley Preparation: Take two small pottery (earth ware) pots (pictured) and put in each a layer of cheese, then a layer of peppers and tomatoes, then more cheese. Close the pots with the lids and bake for 20 minutes in 200 C oven until the cheese on top is melted. Break an egg on top of each dish and cook for 5 minutes or until the egg is the consistency you like it. Stuffed peppers (пълнени чушки)Stuffed peppers (пълнени чушки) are a good alternative. They can be both vegetarian, stuffed with rice and sometimes walnuts, or stuffed with minced meat and rice. There is a variant, in which peppers are stuffed with white cheese, covered with egg and flour and fried, called pepper biurek (чушки бюрек).Ingredients: 8 red or green peppers 1/2 – 3/4 c. rice 1 lb. minced meat (beef, pork or chicken) 4 tomatoes 2 onions 3 tbs. oil paprika salt Pepper plain yogurt parsley Preparation: Preheat oven to 200 C. Cook the rice. Cut off top of peppers and remove the seeds. Heat the oil in a pan. Finely chop the onions and fry in oil for 2-3 minutes. Add the meat and cook for 5 minutes. Add the rice and diced tomatoes. Add salt, pepper and paprika. Cook for 2 minutes. Stuff each pepper with the mixture. Put in an oven proof deep dish. Fill the dish half way with water. Cover with foil and cook for about 30 minutes in oven. Uncover and cook for another 15-20 minutes until the peppers are cooked. Sprinkle with parsley. Serve with plain yogurt on the side. Moussaka (Мусака)Moussaka is a classic Bulgarian dish. Its basic ingredients are fairly plain, but the yogurt gives it a unique, tangy taste. It’s surprisingly delicious! The difference between the Bulgarian and Greek Moussaka is that the Bulgarian one uses potatoes and not eggplant. This recipe is defiantly worth a try.Ingredients: 3 lbs potatoes 1 lb lean ground beef 1 tablespoon tomato paste 1 teaspoon cumin (or more) 1/2 teaspoon black pepper (or to taste) 1/2 teaspoon white pepper (or to taste) 1 teaspoon grated nutmeg salt 2 tablespoons oil (not needed if you use a nonstick pan for frying) 1 mushroom stock cubes 1 cup plain yogurt 2 -3 eggs (depending on size)Preparation: In a frying pan put the oil, the beef, the tomato paste, cumin, black and white pepper, nutmeg and some salt and start frying forcing the meat with a fork to fall apart into crumbs. When all the meat is falling apart remove from the fire and drain the excess fat (although you could also add it to the baking tin). Peel the potatoes and chop them into small pieces. Put half of the potatoes in a deep baking tin, spread the meat mixture over them and top it with the rest of the potatoes; you could use a larger or a smaller diameter tin depending on how thick you want your moussaka to be. Add water until only half of the top layer of potatoes stays uncovered by it and break the stock cube over it (BE CAREFUL – if you opt not to use the cube you’ll have to add some salt). Preheat the oven to a medium temperature and put the moussaka inches. In a bowl beat the yogurt with the eggs the thyme, a bit of salt and some black or white pepper if you want. When the water in the tin starts boiling and the potatoes start to cook, poor in the yogurt mixture taking care that it covers the potatoes entirely. Bake until the potatoes are done (about 45 min-1 h total baking time) but be careful not to burn the yogurt lid – you may want to lower the heat or to leave the oven heating from under the tin only. When ready take out of the oven and leave to cool a bit – potatoes cool very slowly. Serve very warm.